The media use the term “civil war” to describe what is happening in Syria, while the Western media – often – to highlight the actions of extremists working under the cloak of the so-called “State of Iraq and Syria,” in particular. This has left the impression of many observers – especially in Western countries – that there is an opposition of extremists and a struggle for power with the government, and thus both sides are equally bad, or at best: there is a civil war between two parties, and thus solve their problems away from us. But, what is really going? Is it a civil war or a revolution of the Arab Spring revolutions that seek freedom and human dignity? 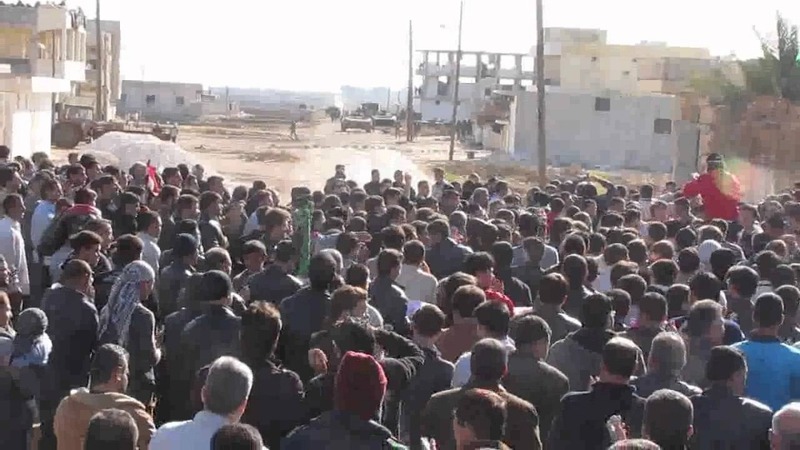 The description of the civil war may apply to what is happening today in Syria in the context of the presence of Syrian parties fighting in a war between them, but it must be noted that the Syrian people came out in peaceful demonstrations demanding reforms and freedom in a country ruled by a dictatorship five decades ago. The demonstrations remained peaceful for six months, despite the violence of the regime and the fall of many of the dead. The events of the revolution then developed into a war between a regime that possessed the power of the state and all kinds of weapons, and scattered popular groups on most of the Syrian territories, which did not bear arms except for the purpose of self-defense. These groups had only small individual weapons at first, and over time some groups were able to obtain heavy weapons mainly from the same system. To this day, the ongoing war cannot be viewed as a war between two equal parties in power or organization. It is a war between a dictatorial regime that kidnapped the state and a segment of the people that sees its interests with it and a large group of the Syrian people. The phenomenon of extremism can be seen in the regime and in part of the opposition, where it can be followed by the regime and its allies as a systematic and officially supported practice. In the opposition, this phenomenon appears as random practices of certain components, and is seen as unacceptable practices of the society that embraces this opposition and is ostracized as a thought. We often hear from the intellectual elite today that the revolution in Syria is over and that what is happening today is a war of pure interests. The revolutions of wars over the past two centuries will find that the relationship between revolutions and wars has always been intertwined and integrated. Revolutions often turn into liberation wars, as happened in the American War of Liberation, which began with a revolution against Britain and may lead to foreign wars as in the French Revolution. And her story with Napoleon. In the event of defeat, external wars could lead to internal revolutions, as occurred in Germany after the defeat of the First World War, when the revolution ended the tsarist monarchy and produced the republican system. In any case, it is difficult to conceive major revolutions without war and without violence, without turning into armed action. The peaceful revolutions of Eastern Europe, which we have witnessed in recent years, in terms of outcome, it was unable to make the change that came out of it. The political corridors kidnapped it and turned its demands into a kind of partisan and political rivalry, that turned it into a slow reform program and lost its revolutionary brilliance . As for Egypt’s peaceful revolution in 2010, it was so quick and clever that it only resulted in changing some faces at the top of the state pyramid. It could not achieve any radical change in the true structure of power and society, which necessarily led to its return to the squares after three years, more violent and bloody, as if seeking to capture the loss of violence in the 2010. Perhaps the most important difference between civil wars and revolutions is the radical change demanded by revolutions, which in turn gives them a vital impetus. The revolution in Syria began with the demands of change for political and social reality and was not directed against any specific class. On the contrary, the slogans of the revolution were full of the values of citizenship and unity among the people. 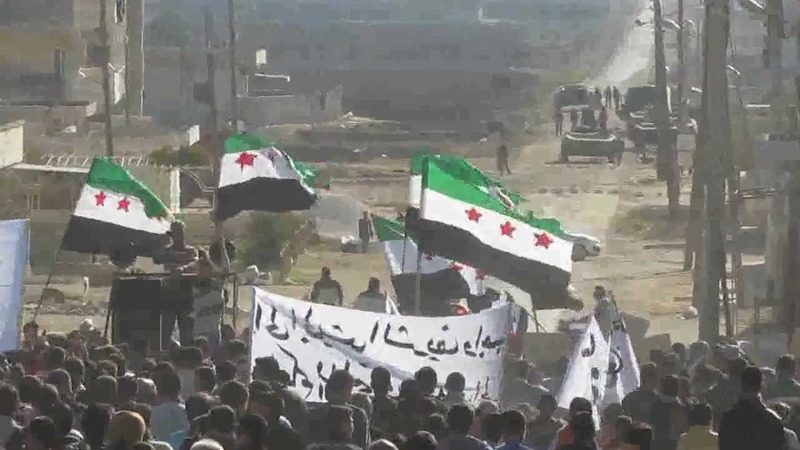 The transformation of the revolution into armed action today has led to a decline in the slogans and demands of change, some steps backwards in favor of the war slogans and ideology that will help them to mobilize and continue. But who follows the details of life in the circumstances of that war will note that the demands and dreams of change are still alive and exist strongly in the hearts and dreams of the majority of the Syrian people. Although it declined in the daily discourse as a result of different priorities for the benefit of basic needs in the conditions of siege and displacement. The dream of change that the Syrians carry today is the morale that gives civilians and military hope, life and the ability to survive despite all this calamity, which strongly calls us to describe what is happening in Syria with a mixture of revolution for freedom and war to achieve change and push it to its ends. It is plagued by conflicts of influence and interests, which are always inherent to the wars and the economy it engenders . The industry of change is not a decision by a republican decree or a passing event, but a painful process of events that may take two generations to reach its goal. Changing the stable balances of power and authority in society in a sustainable manner requires a parallel change in the structure of society and ways of thinking and human life in it. For this reason, the task of changing communities has always been the share of the prophets And the great ones. Who are mentioned by history.